To see the answer to any of the listed questions you simply click on the question and the answer to it will appear beneath it. What version of the software am I running and how do I get to the latest release? To find out what version of the software you are running log into the software as the organiser. Click on the application menu (the football in the top left-hand corner of the screen) and clicking on the About button. The About screen shows you which version you are running. It is the number to the left of the 'Check for Updates' button. In the main Organiser program please go to the Options screen, then select the 'Weekly Prizes' section on the left hand side. Select the option to 'set a different prize for some or all rounds' and remove the value or description of the prize in the required round. How do I register my copy of Footy Tipping Software? You can't register via this website. To register your copy of the software you will need to fill in the registration form within the program - either click on the Options button or on the application menu (the football in the top left-hand corner of the screen) and select Register. This will display a screen where you can choose to register either by printing out the Registration form for posting or scanning and emailing (our address and email address is on the printed form) or sending using the program. You should enter your name & address details and payment details (if required). Once completed you can either email the information to us, or you can print it out and post it to us. Yes, but with the possibility of more than one deposit being credited to our bank account on a day we ask you to do the following so that we can successfully track your payment and issue your Registration code as soon as possible. I forgot to enter a person's tips last week, how get I put them in? To enter their tips for a past round, double click on their name in the Competitors list in the same way as you would to enter their tips for this week. You then click on the 'Previous' arrow next to the round number which will take you back one round and then enter/amend the tips as required. If you alter tips in a round that has already been scored the program will suggest that you re-score that round for the changes to take affect. How do I alter tips in a past round? To alter tips for a past round, double click on the tipper's name in the Competitors list in the same way as you would to enter their tips for this week. You then click on the 'Previous' arrow next to the round number to get back to the required round and enter/alter the tips as required. If you alter tips in a round that has already been scored the program will suggest that you re-score that round for the changes to take affect. How do I tip a draw? To tip a draw in a game click on the circle (radio button) in the 'Draw' column. You can only tip a draw if this feature has been enabled in the Scoring section of the Options screen. Is there a report listing the End of Season prize winners? What if we have a tie for any of our prizes? There isn't a specific report, but the Competition Ladder for the final round should show the amounts of your End of Season prizes at the bottom and it will obviously list your winners up the top. Use a tie-breaker - Using 'countback'* as a tie-breaker - you should ensure that on the Ranking page of your Options screen you have selected 'Use Countback'. If you select this option at the end of the season you may need to re-calculate the last round's results. Sharing the prize(s) - the usual way in which tied prizes are distributed should be used. This method is to add up the value of all the tied prizes and divide them by the number of people sharing. For example, if 1st, 2nd, 3rd, 4th & 5th prizes are awarded and two people tie for second place then add together the 2nd & 3rd prize and share the sum between the two. The person who came next is awarded 4th prize. * Countback is defined as 'The tipper with more higher scoring rounds will be ranked higher'. This can be further explained with the use of an example. Let's say that there are 3 tippers on an equal score of 125 points in a competition where there are 8 games per round. The program looks at how many 8 out of 8's the tippers scored. If two of them scored 2 eights and one of them only scored 1 eight, then this tipper would be ranked 3rd. The program then looks at the 2 remaining tippers to see how many 7 out of 8's they scored. If one scored more sevens than the other then they would be ranked 1st, and the other ranked 2nd. If they scored the same number of sevens then the program would look at how many sixes each scored and so on, until a unique winner is discovered. If tippers have identical countback then the program will rank the tipper who joined the competition earlier higher. How do I run a competition on the Finals? You can either run a seperate competition on the finals, or continue your regular competition through the finals. For more detail see our Finals competition instructions. How do I alter the Venues to display the ones I want? Click on the 'Edit Fixture' button on the 'Other Tools' tab. A competitor has forgotten their password. Is there a way I can give them a new one? The organiser can change any tipper's password. Double click on the name of the tipper who has forgotten their password. Once the tips screen appears you can click on the 'Change Password' button and enter a new password for that person. You will then need to let them know what you have changed their password to. I am the organiser of our tipping competition and I have forgotten my password. Unfortunately, we cannot publish the answer to this one as the ramifications could be catastrophic! :-) If you need the answer to this one please give us a call on 03 9533 0444 or contact us. Tipping the whole season 'up front'? Some competitions tip the whole season before the first game. Tips are normally handed in on a tipping card or sheet. The program can happily deal with this situation, though when it comes to entering tips for the whole season up front, there is a slow way and a quick way. 1. Ensure that the games on your tipping sheet are in the same order as the fixture in the software - You can print the fixture from the reports screen. If they are different then click on the 'Fixtures' button on the 'Other Tools' tab to alter the order of fixture within the program to match your tipping sheets. You may want to create more than one competition if you run competitions on (eg) the AFL and the NRL, or want to have more than one competition for the same code of football. Instructions to do this are on our Installing more than one competition page. Our league ladder appears to be different from what the newspapers show, has something gone wrong? Any number of things can have happened here to cause the ladder to appear in a different order to the media. First thing for you to do is get a second opinion, as the paper you are looking at may be incorrect (this has happened many times in the past). Can the information in the database be exported? Click on the 'Tipper Export' button on the 'Other Tools' tab. You can choose what data that you would like to be exported to a '.csv' file (which can then be opened with Excel). Help! I've lost all my data and I don't have a copy of everyone's tips! Don't panic! There is a simple way to get your competition up and running without knowing all your tippers tips. As long as you have a copy of the Competitor Ladder for the last round (with all the scores for preceding rounds), contact us for help. I didn't find the answer that I was looking for. How do I contact you? Tipper has forgotten their password. How do I reset it? You can either do this on the web pages or in the Organiser program. The web pages of your tipping competition are 'responsive'. This means that the display of the page changes depending on the size of the screen being used. The most notable feature is that the menu changes to a 'drop-down' on a small screen, and fonts on some screens get bigger for ease of reading. Whilst there is no phone app specifically for the tipping competition pages, your tippers can access the pages quickly & easily on their phone by creating a 'shortcut' on their Home screen. Instructions for creating a home screen shortcut are given here. I manually put in some tips to the desktop and saw a green tick beside the tipper's name. However, after I have synchronised, the tips aren't on the website even though a green tick is displayed. Tips are only ever downloaded from the web site, never uploaded. A green tick is displayed on the website so that you and the tipper can see that there tips have been entered. I get "Error 4 - The scripts on the website are out of date" when I try to connect to the web competition. This is because you have installed the latest edition of the program on your PC, but have not installed the latest version of the required scripts on your web server. You can not use last season's scripts for this season's competition and will need to install the latest version of the scripts. For instructions on installing the latest scripts please see the help page that was displayed when you installed the program. If your competition is being hosted by FTS then you will need to request we update your competition web pages site. My Rules aren't displayed on the websitepage or they don't reflect changes in my settings. The Rules page does not necessarily upload or update when you change settings. You must select the appropriate options from the Rules Page section in the Web Competition section of the Options screen. I want to remove a report from the Reports page. To remove a Report you need to use the Administration page of the web site. This is usually because the organiser has opted to 'suspend newly joined tippers' as they join the competition. An organiser might do this so that he/she can vet potential tippers before allowing them to have access to the competition. You may adjust the round cut-off times for any round by opening the Options screen and going to the Web Competition -> Cut-off Times section. Then simply alter the date/times as required. Suggested procedure for installing the web edition. It is recommended that you download and install the Web edition at the PC of the person who is going to be the competition Organiser. This is so that the install program can create appropriate program groups and shortcuts on their machine. You do NOT need to install this part of the program onto the web server. Since the Organiser is the only person that will be using this component of the software you can install either to the local c: drive or to a network drive. We tend to recommend installing to a shared network drive only because the program folder would then usually be included in a network backup routine. This initial installation program will install the Desktop (or client) software onto the PC or network. It also copies files and instructions for the web server component into appropriate folders. It will display a 'readme' file which gives detailed instructions on what and how to install onto your web server. We recommend that you print this information for reference. The next step is to install the scripts onto your web server. Following the instructions in the readme should suffice, but if you do run into problems then there is extensive information on this page regarding possible problems and their suggested solutions. There are detailed instructions on what is done by install.pl here. These should allow you to get your competition running without the need to run install.pl on a server console. How do I set up permissions on my UNIX web server to allow the Web edition to work? How do I set up file system permissions on my Windows web server to allow the Web edition to work? The first thing to check is that your competition is available from a browser. To do this, open up your browser, e.g. Google Chrome, Firefox or Internet Explorer, and type in what you think is the address for your tipping competition scripts. This will most likely be https://www.footytipping.net.au/cgi-bin/yourname/tippers.cgi, where yourname is the name of your competition specified by Footy Tipping Software. If you get to this page the scripts are working fine on the web site and the address must be incorrect in the Connection options page. If your cannot get to https://www.footytipping.net.au/ then you have a problem with your Internet connection and you will have to talk to your local IT administrator, if you are in a company, or your ISP. The problem is possibly one to do with proxy software being used to control your connection to the internet. If you can get to https://www.footytipping.net.au/ then contact Footy Tipping Software to verify the set up is correct on our web server. My web server is UNIX and I get "Error 401" or "Error 403" when I try to upload or download from the web competition, and my browser displays a login dialog box when I go to the competition pages. This sometimes occurs when your web server has special web server permissions set on the cgi-bin directory. Verify that all of the permissions are set correctly before you go any further - see UNIX Permissions. If the problem persists after checking these, check to see if there is a .htaccess file in the cgi-bin directory or in any directory above it. These files allow a web master to fine tune whether access to a particular directory requires a password. If there is a file, please contact your web master to check why it is there and how to change this behaviour for your competition directory. My web server is Windows and I get "Error 401" or "Error 403" or "200 OK" when I try to upload or download from the web competition, but my browser connects to the site with no problems. 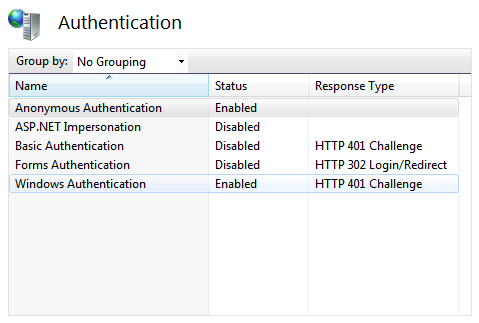 "NTLM" or "NT Challenge/Response" or "Integrated Windows Security" is turned on. NTLM security must be turned on to allow the anonymous user to be authenticated to the machine. If you are still having problems, then you will have to consult the documentation for IIS to ascertain where the problem lies. Some users have reported that the scripts give a 401 error unless Directory Browsing is selected in the Properties window of the Scripts virtual directory. I get "Error 4 - The scripts on the website are out of date" when I try to upload things to the web competition. This is because you have installed the latest edition of the program on your PC, but have not installed the latest version of the required scripts on your web server. You can not use last season's scripts for this season's competition and will need to install the latest version of the scripts. If your competition is being hosted by FTS then you will need to request they update your hosted site. I get "Error 22 Upload failure" when I upload things to the web competition. This usually occurs because either the directory that the files are uploaded to cannot be found by the web server software, or the web server software does not have the correct file system permissions to the directory. Check to make sure that the directory exists and if it does, follow the instructions in the Permissions section for UNIX or Windows servers. If it does not exist, create the directory and then follow the instructions in the relevant Permissions section. I get "Error 23 Access denied" or "Error 32 Permission denied" when I upload to the web competition. This is caused by the web server not having the correct file system permissions. Follow the instructions in the Permissions section for UNIX or Windows servers to verify that permissions are set correctly in all directories of the competition. When I upload to my competition, it gives me a permission denied error when uploading stub.dat. I can't find stub.dat on the site anywhere. What does it mean? The Web Interface uploads a small file called stub.dat when it needs to tell the Web Front End to regenerate index.htm in the html directory. I get "Error 407 - Proxy Authentication required" when I try to upload or download from the web competition. This would indicate that you have web proxy server and you need to specify a proxy server and port and also check the prompt for proxy username and password option on the Connection tab of the Options. If this problem still occurs, then you may have a windows based proxy server that requires a proprietary authentication method. The Web Interface does not support this method and you will have to contact your Proxy Administrator to find another option for you to authenticate to your proxy server, for instance by allowing you to use Basic authentication. As a last resort, you may have to manually upload files to your competition. How do I get the scripts to work with IIS 5.1 (as shipped with Windows XP) or IIS 6 (as shipped with Windows Server 2003)? For both of these servers, you will more than likely need to create a scripts virtual directory. You should now have a scripts virtual directory. From this point, you should probably check the file system permissions for the directory that you have created. If you are using IIS 6 you will also need to allow Perl CGI extensions to run. Under the Web Service Extensions folder, select Perl CGI Extentions. Change the status from "Prohibited" to "Allowed". I get "Page connot be found, 404" when I try to access the scripts or when I click on the "Click here to continue" link on the index page. This problem is either caused by file system permissions or because you don't have a virtual directory set up in IIS for the scripts directory. To set up a virtual directory, go into the Internet Services Manager (in control panel), right click on the relevant web server (usually called the default), then choose New->Virtual Directory. A wizard will be displayed. For alias, type 'scripts', and for the directory, browse to the directory into which your footy tipping scripts directory is installed. e.g. c:\inetpub\scripts. On the Access Permissions page, ensure that Read, Run scripts and Execute are enabled. If this does not resolve the problem, please refer to the Windows file system permissions section. If you are running IIS 6 then you will need to allow Perl CGI extensions to run. Under the Web Service Extensions folder, select Perl CGI Extentions. Change the status from "Prohibited" to "Allowed". I get an error "flock() unimplemented on this platform"
Although we endeavour to offer the Web edition on as many platforms as possible, some of the programming code that we may not work on all platforms. In this case we are using file locking (flock()) to maintain the integrity of certain files used during the operation of the scripts. I am running the scripts on Windows NT, 2000 or XP and when I browse to one of the scripts, my browser attempts to download the perl script instead of running it. In internet service manager, go to the directory that you have your scripts in, eg Scripts\tipping, right click and choose properties. On the virtual directory page, choose the Configuration button (you may have to click on the Create button first). On the App Mappings page, click on the Add button. In the Extension edit box, enter ".pl" (without the quotes). Clear the Script Engine check box. Check the 'Check that File Exists' check box. Choose OK, then OK, then OK.
How do I set up IIS 6 to work with Perl? Load the Internet Information Services (IIS) Manager applet from Window's Administrative Tools menu. Select the desired system, then select Web Service Extensions. Check to see if the "Perl CGI" extension is in the list. If it is, make sure that it is "allowed". Change it if necessary, then move on to step 6. Otherwise, move to step 4. Click Add new Web service extension. As necessary, modify the path to the Perl executable on the selected system. Check Set extension status to Allowed. Click OK. Create a virtual directory for the Perl scripts. Expand the Web Sites folder in the IIS Manager and right-click Default Web Site. Select New | Virtual Directory.... Use the wizard to specify the location of your Perl CGI programs. On the Access Permissions page, ensure that Read, Run scripts and Execute are enabled. (The default location is often c:\inetpub\scripts in which case the alias would be set to 'scripts'). Right-click the new virtual directory and select Properties. On the Mappings tab of the Application Configuration page, ensure that ".pl" extensions are mapped to the Perl interpreter specified above. (Enter the same string in the Executable Path field as shown in step 3.) Some users have reported that the scripts give a 401 error unless Directory Browsing is selected. In order to run Perl scripts, ensure that Perl CGI Extentions are "allowed". Under the Web Service Extensions folder, select Perl CGI Extentions. Change the status from "Prohibited" to "Allowed". Can I install the scripts on a Mac web server. Please note this was done on a iMac with a standard install of OSX. It is for the system websever - not a user webserver (it is possible for each user on an OSX box to have their own webpages, which are stored in a different location to that which has been noted above). or if you want to upload a filename with more than eight characters. 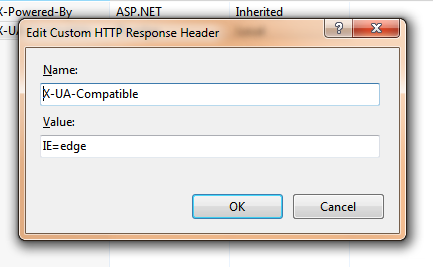 If you are using IE 8 or below, unfortunately the modern style is not compatible with your browser. Please try a different style, like classic, or a different browser, like Chrome or Firefox or upgade your IE to 9 or above. On your web server, open the IIS Administration program (which should be in Administrative Tools). In the right pane, find the HTTP Headers icon and double click on it. On the right hand side, under Actions, click on "Add..."
Click OK. This is all that is required, your web pages should now appear normally. There is a copy of this file in the "utils" folder of the tar.gz file containing the scripts. First, you may wish to have a look at our Web Edition FAQ for Competition Organisers. For more info on PERL for UNIX visit www.perl.com. If you have a Windows server, the most useful source of information we have found is the FAQ page at www.activestate.com, or otherwise you can find our contact details here.